Located in the northeast of Australia, Queensland boasts a rich history, efficient cities, picturesque coastline, and lush interior rainforest. 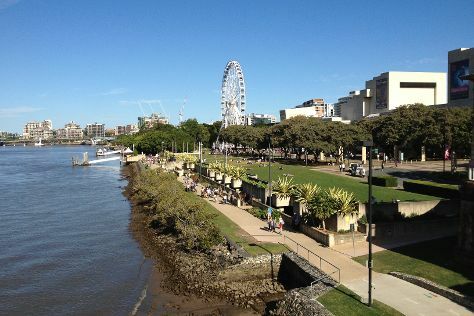 Tourism in Queensland tends to revolve around the Sunshine State's countless beaches and coastal enclaves, which engender a laid-back, easygoing way of life. Named after Queen Victoria, the state was first settled by Europeans in the 17th century, but the area is believed to have served as home to the country's Aboriginal population as far back as 60,000 years. Queensland is in Australia. Use our Australia trip itinerary site to arrange your visit to Queensland and any other destinations in Australia that take your fancy.